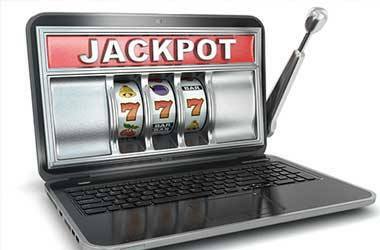 When people think of casinos, they think of gambling and having a good time including the exciting nightlife, entertainment, and hotels. But who would have thought of casinos as a wedding venue? 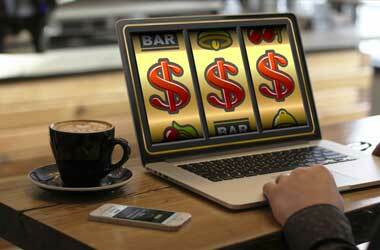 Most casinos are very extravagant, with huge buildings, lots of sculptures and lights. This scenery will definitely add to create the most beautiful backdrop for pictures and an ambiance of style and elegance. They are designed to create a feeling of luxury and uniqueness. Let’s take a look at the 5 best Las Vegas casino venues, and you can judge for yourself. 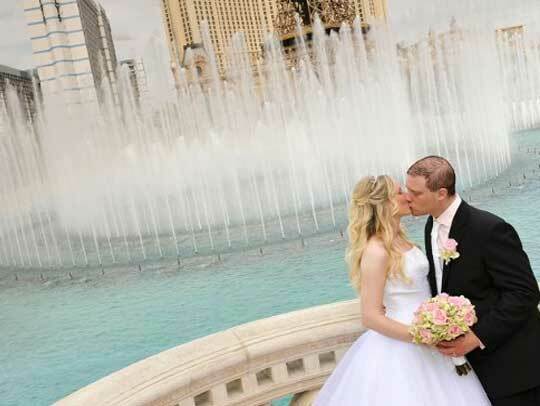 If you have been looking for a luxurious wedding in Las Vegas, look no further. 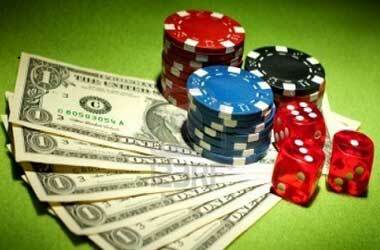 From the moment you set foot at this beautiful casino venue, you will feel special and spoiled. Their impeccable five-star service and warm wedding arrangement staff will guarantee you the greatest day of your life. Aria Resort and casino can cater for all your needs. From a small intimate 30 people wedding to the extravagant 150 people seating setting, they are organized for anything. 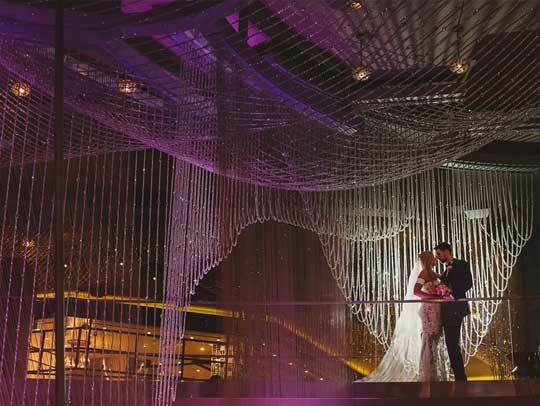 Aria Resort and Casino has four wedding packages you can choose from. You are guaranteed to find something that will blow you away. 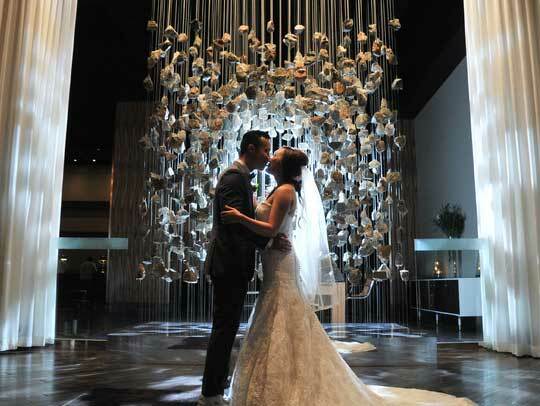 Aria Wedding Chapel – an extraordinary venue with beautiful décor and exquisite chandeliers can cater for up to 60 people. The Firestone Lounge, very unique and vibrant, this venue can cater up to 80 guests for a cocktail party. The Poolside Veranda – with the lovely backdrop of the casino and ice blue water of the pool, this is surely the place to start a great party. Catering for up to 150 guests, you will never have to leave someone behind. The Gallery with Dale Chihuly – The dramatic unconventional backdrop of famous Dale Chihuly will create a tailored ambience. 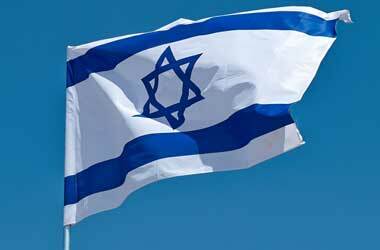 Looking at all the great options, you are guaranteed a once in a lifetime experience. Las Vegas is known for all its entertainment, including casinos. Bellagio has gold status when it comes to casinos and is known to be one of the more extravagant casinos. It has beautiful fountains as you enter and you will feel like royalty once you are inside. 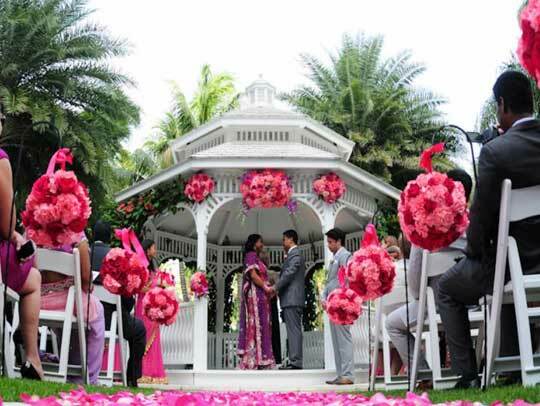 This spectacular venue is renowned for its beautiful weddings. You are ensured of a picture perfect wedding, meeting all of your needs to perfection. It is idyllic, just to say the least. Bellagio has the following venues available. East Chapel – small enough to cater for 30 guests and it is gracious and romantic in itself. Sogno – intimate and cater for a day or evening wedding. Hyde Bellagio – caters for guests above the age of 21 on the terrace looking out on the beautiful fountains. The Fountain Courtyard – is small and very limited for 10 friends or just a romantic moment for two. This venue is taking it to the skies. With magnificent skyscrapers, they will guarantee an unforgettable experience. With more modern style and pizazz, Palms Casino is highly sophisticated. Their stunning wedding coordinators will surely execute your every wish as well as assist with minor details that will relieve some of the stress for the day of your wedding. Palms Casino and Spa also has beautiful venues to choose from. From the extravagant two story buildings including the lovely ballrooms and restaurants. Or for a more relaxed feel, you can have a laid back wedding next to the pool and garden area. Whatever your desires are, your dreams will come true. Palms Casino and Spa will give you a whole new experience of Las Vegas. In the heart of the Las Vegas Strip, you will find the classic Cosmopolitan. For the traditional and non-traditional, they have the right setting for every request you may have. Cosmopolitan is focused more on designing more special types of weddings. Giving the classic traditional wedding a little twist to make is unconventional and unique. Filled with different kinds of venues to choose from,the Cosmopolitan staff will be there to assist you in choosing the correct match. The Penthouse – Will cater for exclusivity, very non-traditional. Your bride will not be able to walk down the aisle. The ceremony will be inside or on the isolated terrace boasting with the views of Las Vegas. Point Loma – Surrounded by glass windows and looking out to the most spectacular view of the city. The Chelsea – firstly known as a glass factory is now a playhouse. The Ballroom will be for the more traditional big and sit down weddings with lots of space for tables and the dancing floor. The restaurants and Lounge and Bar area will cater for a more informal event, with a warm ambience and relaxed atmosphere. You are always certain of excellent service and will never be disappointed. 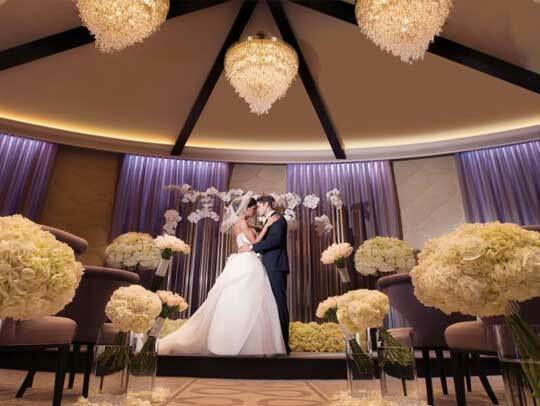 Mandalay is the ultimate wedding venue in Las Vegas. Boasting the title of ‘best wedding Casino Resort in Las Vegas‘, as voted by brides and The Knot. They have stolen this title and have proven that they are worthy from 2013 – 2017. They have also been awarded Best wedding Chapel, as well as the best wedding venue by the pool. The Five-star service and excellent ratings do demonstrate that Mandalay is definitely the best of casino wedding venues. The excellent food and menus are something to look forward to. Mandalay resort and casino also provide extra services to assist with flowers, music, décor etc. They have 6 very unique venues to choose from, as well as the option to combine some of the venues to suit your needs. The highly skilled event planners will be there every step of the way to guide you. Three of their special offers are Romanic Bliss, Just Lovely package, and Bay love, each including special features and benefits. Saying “I DO” will be the most precious moment of your life and within a setting that screams fairy tale, it will create the most beautiful and lasting memories. 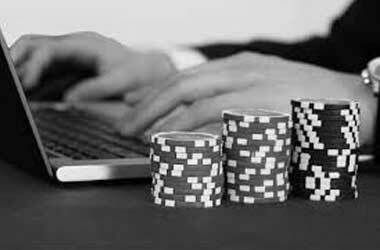 Attesting that casinos are not only for entertainment in gambling, but you are sure to have an extraordinary wedding in the most exquisite venue.